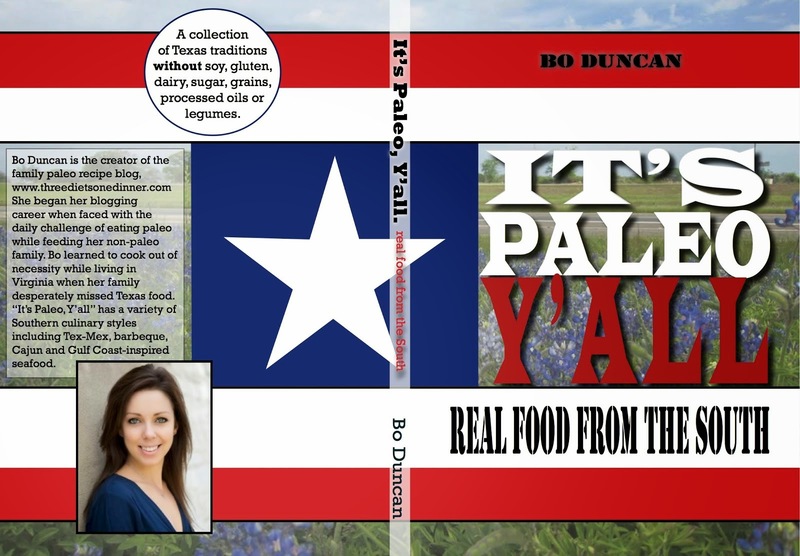 Here is another preview recipe from my book, It's Paleo Y'all. Are you getting excited about it yet?? In Texas, we are blessed to have a special onion called the 1015. Named for the date of their optimal planting, October 15, these onions are known for their large size and distinct sweetness. They were developed at Texas A&M University by horticulture professor, Dr. Leonard Pike. Large yellow sweet onions can be substituted for the 1015 in a pinch, but the resulting soup won’t be as sweet. The key to extracting the most flavor from the onions is in the sweating process. This soup is as rich as it is sweet, so your servings should be modest as an appetizer. 1. In a large stock pot, melt bacon grease over medium-high heat. Add onions and salt and cook, stirring frequently for 15 minutes. 2. Reduce heat to medium-low, add garlic and continue cooking, stirring occasionally, until the onions are thoroughly caramelized, about 25 minutes. 3. Add beef stock, thyme and black pepper. Bring soup to a simmer and cook 30 more minutes. Remove bay leaf and serve warm in individual ramekins. Love making this soup, it's supper yummy! Usually make a double batch so I'm sure to have leftovers!